It is an agreed fact that it is rebirth to a woman delivering a child. There is no second opinion about this fact. All pray to the almighty for a safe and normal delivery when the moment comes to the woman. 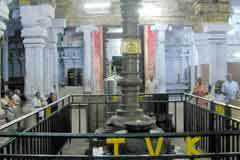 The temple is opened from 6.00 a.m. to 12.00 a.m. and 4.00 p.m. to 8.00 p.m.
Sri Sivakami Vaidyanathar Temple, Srivilliputhur, Virudhunagar Dist. 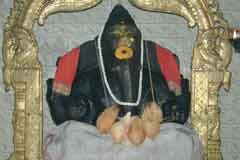 King Thirumalai Naicker took up the practice of having his food only after the midday Pooja (Uchikala pooja) in Madavar valagam. 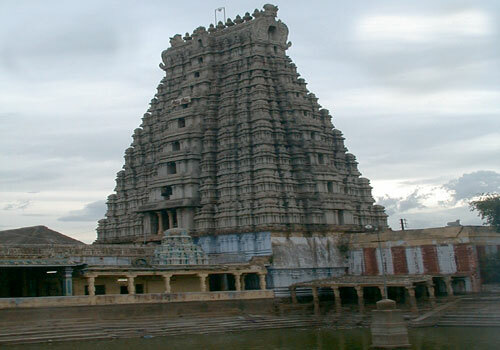 For this, he constructed a line of halls from Madavar valagam up to Madurai from where the communication would reach him through drums in each hall. 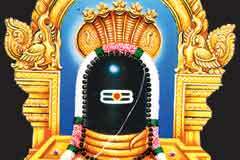 The king would take his lunch only when the sound reaches Madurai. The stone halls could be seen even today on the Srivilliputhur Madurai highways. Some traders procured pepper in Kerala and smuggled it to <?xml:namespace prefix = st1 ns = "urn:schemas-microsoft-com:office:smarttags" />Madurai telling the authorities that the merchandise was just Dal. They intended to evade the tax payable on pepper. Reaching home, when they opened the bags, they were shocked to find only dal and not pepper. 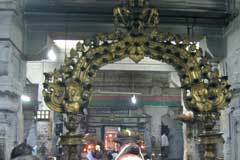 They went to lord Chockanathar in Madurai and apologized for their act. 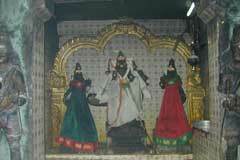 They were advised to pray to Vaidhyanathar. It is said that the message of the story was to teach a lesson to tax evaders. 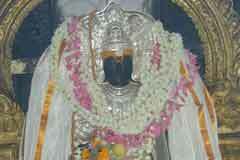 Madavar Valagam can be reached from Srivilliputhur by town bus. Buses are available from Madurai to Srivilliputhur. 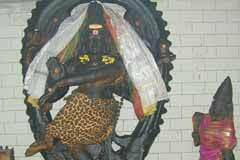 Nearest railway station is Srivilliputhur. Nearest airport Madurai. The real mother also arrived just then. The girl said that she had delivered the child safely because of her timely help. The mother was very much confused. The lord, with his consort Sivakami appeared before the mother and daughter and told them that he alone nursed her in time of need. The lord also said that as the spring healed her wounds and quenched her thirst, the stream would be known as Kayakudi Aaru. Those having a dip in the river would be free of all fears of life and attain all comforts in life. 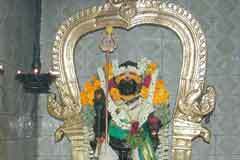 Madavar Valagam can be reached from Srivilliputhur by town bus. Buses are available from Madurai to Srivilliputhur.